Berlin, Oct 29, 2018. 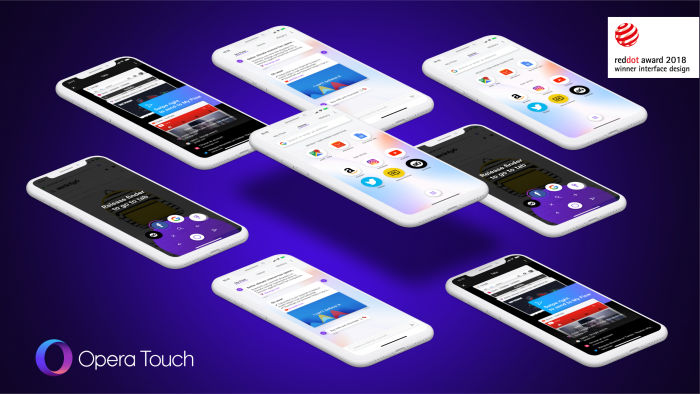 Opera Touch is outstanding and award winning: As part of the Red Dot Award: Communication Design 2018, Opera Touch’s design team has succeeded in winning over the 24-member jury. Over several days, the experts examined, discussed and evaluated more than 8,600 international communication design works. They awarded the coveted Red Dot for the high design quality and creative achievement of Opera Touch’s user interface. The awarded works are presented in an online exhibition and in the Red Dot App. Opera Touch is an Android and iOS browser designed to facilitate web browsing on smartphones with large displays. In most web browsers, users must reach for the top of the screen to get to the most important control elements. This is the main reason why they accidentally drop their smartphones. The Opera Touch UI prevents this by introducing the Fast Action Button, which is conveniently positioned at the bottom of the screen. Users can swipe it open to access all browser control elements, including already opened tabs. The Fast Action Button also allows users to perform web searches. The browser’s “Flow” feature establishes a seamless connection of Opera Touch with the Opera PC browser and lets users instantly share images, links, videos or notes across their devices. 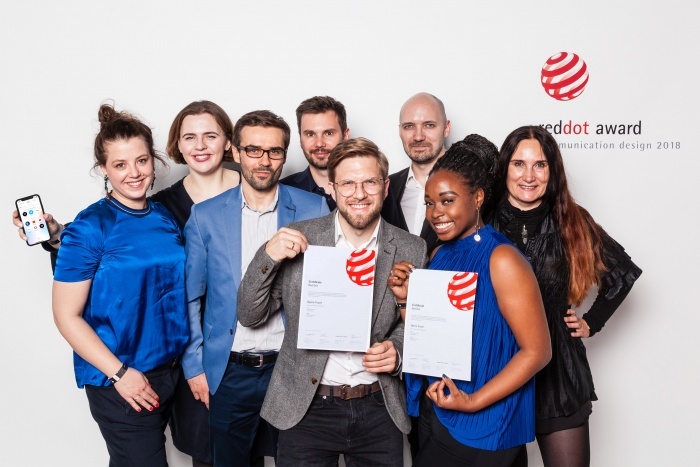 The Opera Touch team received their well-earned certificate in the course of the award ceremony for the Red Dot Award on 26 October 2018. During the Designers’ Night at the ewerk Berlin, Opera Touch was presented to the international guests attending the event – as part of the winners exhibition “Design on Stage” which showcased the state of the art in worldwide communication design exclusively for one night. Opera’s prize-winning project will also be presented in the International Yearbook Communication Design 2018/2019, which will be published on 15 November 2018 and distributed in around 40 countries. In order to appraise the diversity in the field of design in a professional manner, the Red Dot Design Award breaks down into the three disciplines of Red Dot Award: Product Design, Red Dot Award: Communication Design and Red Dot Award: Design Concept. The Red Dot Award is one of the world’s largest design competitions. In 1955, a jury convened for the first time to assess the best designs of the day. In the 1990s, Red Dot CEO Professor Dr. Peter Zec developed the name and brand of the award. Ever since, the sought-after Red Dot distinction has been the revered international seal of outstanding design quality. More information is available at www.red-dot.org.